UXA and Peter Huynh continue to work together as the next UxaLab’s Olympic Pack gets unveiled just as the Rio Olympics begins. While in the past the partnership has resulted in collections dominated by Avant Gard paired with Anti-Conformism, the latest effort results in Skateboarding’s induction to the 2020 Olympics. Particularly, the UXA Skate-Man KickFlip Icon accurately capture the motion of Skateboarding while the Toxic Games is Peter Huynh’s graphical commentary on keeping skateboarding 100%. Tying in with the upcoming 2020 Tokyo Olympic Games, the Toxic Games and Team UXA tees, draw direct inspiration from the street sport and skateboarding’s underground cultural roots. Check out the collection above and look for the offerings at uxalab.com. Press Release: Vans Pro Skate Park Series (VPS) and the International Skateboarding Federation (ISF) today have announced a strategic partnership in advance of the new world championship skateboarding point series’ inaugural qualifying event in Melbourne, Australia this Saturday, April 16th at St. Kilda Skatepark. VPS will partner with the ISF as the official sanctioning body for the 2016 Vans Pro Skate Park Series World Championships. VPS and ISF will work in tandem to create and uphold guidelines to define and elevate the park terrain discipline worldwide by establishing the premier global points ranking system for park terrain skateboarding, culminating with the official crowning of a park terrain world champion for men and women this August in Malmö, Sweden. The goal of the partnership will promote an influential global platform for organized skateboarding, showcasing expert athleticism while maintaining the unique culture and values of skateboarding. Additionally, VPS endorses the ISF as the only true skateboarding federation of, by and for skateboarders, to represent skateboarding worldwide and looks forward to creating a strong foundation for global park terrain competition. The first fifteen 2016 Vans Pro Skate Park Series Select Pros have been revealed, prepping the field for an exhilarating qualifiers competition this Saturday, April 16th, at St. Kilda Skatepark in Melbourne, Australia. The inaugural event will be webcast live on www.vansparkseries.com with daily updates shared on social media via @vansparkseries. 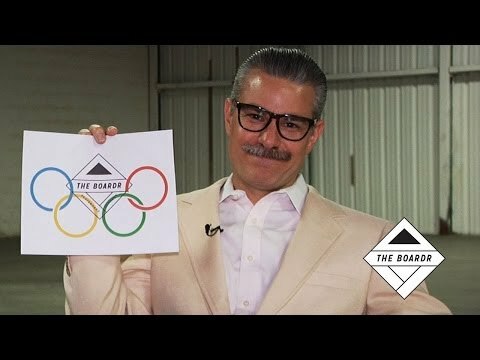 Today the Boardr has announced its partnership with the IOC to bring skateboarding competitions to the 2016 Summer Olympics in Rio de Janeiro. Indeed, it’s one small push for The Boardr Skateboarding Company’s portfolio and one giant ollie for skateboarding. Check the breaking news interview with Mr. Ryan Clements and read the full press release right here.